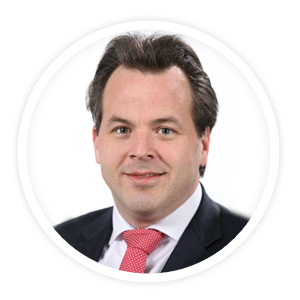 We spoke with Tjeerd Krumpelman, Head of Business Advisory, Reporting and Stakeholder Engagement at ABN AMRO. Tjeerd Krumpelman shared his perspective on non-financial disclosure with a focus on materiality analysis. The bank is currently going through their third Materiality Analysis powered by Datamaran’s Artificial Intelligence technology. ​ABN AMRO is the third largest Bank in The Netherlands headquartered in Amsterdam. They started completing their Materiality Analysis in 2014. Heavily influenced by the GRI, the bank was primarily focusing on ESG and sustainability issues. The bank is committed to becoming a “better bank contributing to a better world”. Recent studies show that about 80% of the world’s largest 250 companies are already integrating non-financials in their financial reporting, demonstrating that non-financial issues can be material. The risk horizon is changing fast: since 2013, there has been a 72 percent increase of the number of recorded regulations concerning non-financial issues. Navigating the complexity of non-financial issues and their impacts on business has proven to be a challenge. Looking into financial services, Datamaran data shows that over the last 8 years, the reporting scope of the sector companies expanded to include on average 10 additional topics. In the non-financial context, materiality analysis is a process in which you identify the environmental, social, governance and broader emerging issues, such as digitalisation, innovation, geopolitical events that are most important given the operating context of your business. It has become a critical process for companies; alongside the increase of non-financial disclosure requirements, voluntary disclosures are quickly becoming mandatory provisions. ​In the non-financial context, materiality analysis is a process in which you identify the environmental, social, governance and broader emerging issues, such as digitalisation, innovation, geopolitical events that are most important given the operating context of your business. It has become a critical process for companies; there are 20 times more non-financial disclosure requirements today than there were four years ago, and voluntary disclosures are quickly becoming mandatory provisions. We caught up with Tjeerd Krumpelman to hear why ABN Amro is using Datamaran for their Materiality analysis this year. In 2014 the bank first came up with a matrix and discovered a “long list” of material topics, using the “traditional method”. It entailed interviewing several stakeholder groups and setting up surveys. According to Tjeerd Krumpelman looking back this “traditional method” wasn’t very scientific, and it was time consuming. ABN AMRO: The biggest challenge is figuring out which material topics to use in the long list and the methodology to apply. Do we have the right issues captured? If you focus on GRI, you will get a list of around 30-40 topics or maybe even more. But are those really the issues material to us as a bank? And if so, how do we send them out in a survey to stakeholders? Should we include investors, all clients or all employees? The other stumbling block is, do we have enough response to our surveys? What is the minimum number? Unfortunately some stakeholders could be simply “unreachable” through surveys. Also some stakeholders are simply not equipped to answer too technical questions. Materiality analyses are becoming more sophisticated, especially for those companies that seek integration, and require a level of detail that is beyond asking a stakeholder “to what extent you think X is important?”. This leads to longer surveys and more detailed questions, often interviewees are not prepared to properly answer those. On an operational level, there is always a chance to overlook a source, for example, an emerging regulation. Overall, it’s easy to end up with questions to the legitimacy of the actual materiality assessment because there are no real standards to follow. Source: Datamaran. Example Screenshot from Datamaran’s Materiality module. Datamaran: Why is it important to have a robust and complete materiality analysis? ABN AMRO: It is important to have a solid materiality matrix as it helps the company to create a long-term value. In particular, the analysis helps to identify the drivers of value creation for your stakeholders. In a long run your Materiality Analysis will go beyond sustainability remit and will inform your bigger corporate strategy. Having a holistic approach to capturing all unfolding issues is tremendously important for getting your Analysis right. It also means that the issues identified could have more significance for the company’s strategy overall. Datamaran: What made you start looking for a different solution when it came to doing your Materiality process in 2018? ABN AMRO: We wanted to reassess our most material topics in order to keep creating long-term value and to ensure we are working on the right issues. So this time we decided to improve our process of determining materiality by adding technology to the evaluation. It was not meant to replace the whole process in any way but to improve what we already have in place. By adding data and technology from the start we were looking to get more robust results. Another reason we opted in for artificial intelligence is to be as free from any form of bias as possible, right from the start of our process. Datamaran: How has using our solution been so far? Tell us about your experiences and what you’ve done with it? ABN AMRO: With its data driven approach, Datamaran has made the process more comprehensive. It ensured that both established and emerging issues are weighted in our initial Analysis. From day one, Datamaran has helped us to get a better sense of what is going on, what should be on our long list without the hassle. The firm has also improved operational efficiency and cut manual labour that used to go into the Analysis before. The automation has freed some resources (time, people) that were then available for more strategic/high level analyses. What is also very important is that Datamaran allows us to be as bias free as possible. Compliant - the processes built into the platform are in accordance with the GRI, SASB, the IIRC-framework and the COSO/ISO standards for ERM. 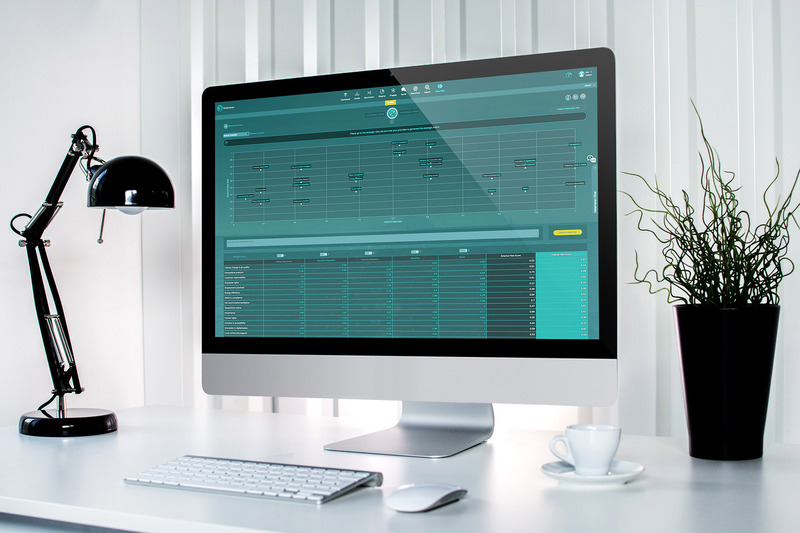 Datamaran is an automated solution for tracking the non-financial issues critical to business. Datamaran’s purpose is to support materiality analysis by intelligently using credible data from a broad range of data sources. Its Artificial Intelligence (AI) technology uses natural language processing (NLP) to sift and analyse extensive publicly available unstructured datasets. The platform captures evidence-based insights from over a million of data points. The Datamaran approach has been validated through four deep review processes. Data from the solution has been used in materiality analysis projects carried out by major consultancies, including KPMG, EY, PwC and BSR. Internal and external auditors reviewed the materiality analyses delivered and confirmed the validity of the data and the approach, as well as its adherence to the main non-financial reporting frameworks.